Now Online! 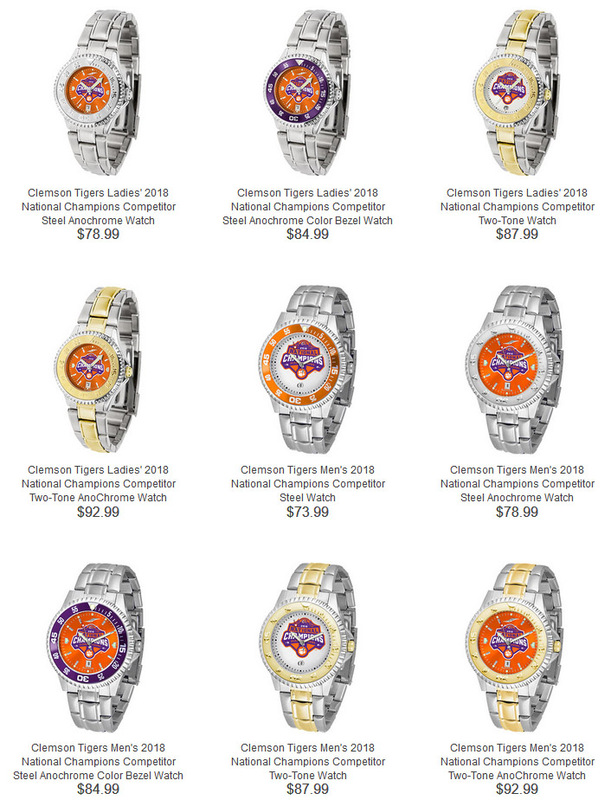 2018 Clemson National Champions Watches and Clocks are now available. These are special order items online and are not available in-stores.